Just follow the below steps to apply for the D.I.V.E Scholarship Program 2019. Step 1 : Go to the official website of Maker’s Asylum through provided above. Step 2 : Read the instructions carefully and Click on the “Apply Now” button at the end of the page. 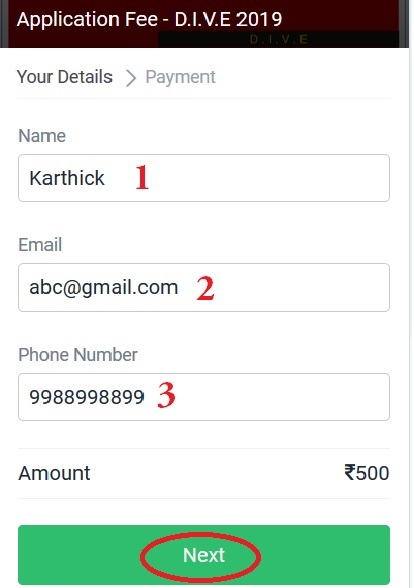 Step 4 : You will receive a transaction receipt with link to the application form over your registered email. The participants also get Course certificate recognised by Xavier-Em Lyon Business School in its 6 campuses across the globe. Maker’s Asylum is a community space focused on fostering innovation through hands on learning. It also provides access to an ecosystem of stakeholders which includes Governments, Businesses, Incubators/Accelerators, Investors and subject matter experts. The space houses various labs that are co-located in order facilitate prototyping of ideas that are interdisciplinary in nature. Maker’s Asylum has also been engaged in working with the differently abled community through its program STEAM Fabrikarium.